A Main Road Corner plot is available for Sale. 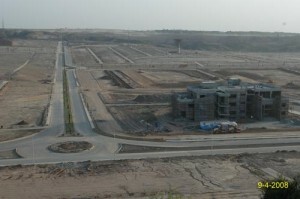 It is situated in CDA Sector I-12/3, Islamabad. Its measuring area is 25×50 and it is ideal location plot new airport at just 10 mints drive from site and Motorway at 5 mint drive opposite nust university . Contact for more details. Posted in I-Sector, Plot for Sale and tagged Plot I-12.